If you have a deer tag in your wallet: You are most likely a married white male between the ages of 35 and 44. You attended college, and you and your spouse earn a combined income of $50,000 to $75,000. According to a 2006 U.S. Fish and Wildlife Service report, you aren't afraid to spend some of that money. The average deer hunter bought $885 worth of gear, guns, and gadgets designed to help find, fool, and kill more deer. The orange army is an economic force unto itself. Ten million of us spent $8.9 billion on trips and equipment alone in 2005, the last time the USFWS examined deer hunter demographics and spending patterns. That's more than the combined total revenue of Cabela's and Bass Pro Shops in 2013. It's more than the entire gross domestic product of dozens of countries. If hunting were a corporation, it would rank 95th on the Fortune 500 list, ahead of such giants as DIRECTV, Time Warner Inc., and Nike. By itself, deer hunting would rank above nearly 200 corporations on that list. Overall, America's hunters spent a whopping $33.7 billion in 2010, an average of more than $2,500 per person on all hunting-related expenses. The 60 or so deer hunters who book with Kansas Whitetail Adventures each season likely spend more than twice that, figures owner Gene Pearcy. Like countless other outfitters who have built businesses around America's insatiable appetite for big whitetails, Pearcy has made a career out of helping hunters fulfill their appetite. Despite the lagging economy, his business is thriving. "People aren't going to give up their deer hunting," he says. 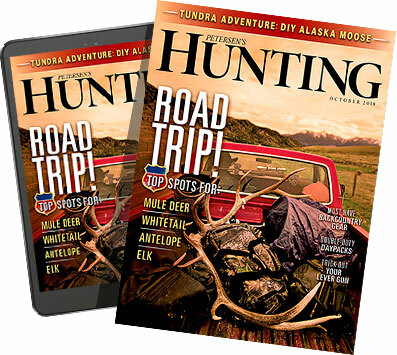 "They may not go on the high-dollar elk hunts out West or on a hunt in Alaska, but they will find the money for an outfitted deer hunt, especially in Kansas or some other state known for big deer." He figures his clients spend an average of $6,000 each on outfitter fees, travel, tips, and other expenses. Pearcy spends that much just on food plots each year. He's not alone. According to a 2010 USFWS survey, hunters spent $703 million, or two percent of the total expenditures, on "plantings." That's a lot of clover and chicory, and it's helped companies like Whitetail Institute, which started the food plot phenomenon in 1988, build successful businesses. "You have to remember that food plots don't just benefit deer and deer hunters," says Whitetail Institute Vice President Steve Scott. "A whole bunch of other birds and animals take advantage of the food plot and habitat work conducted by deer hunters. It's money well-spent for the conservation community, and it undoubtedly benefits local economies because people who plant food plots buy fertilizer, lime, and equipment from their local farm stores." Our money doesn't just go to food plots, outfitters, Cabela's, and the hundreds of mom-and-pop hunting stores scattered around the country. We buy licenses that fund the very agencies entrusted to manage our deer and other wildlife. Ohio deer hunters, for example, spent more than $10 million on licenses last year, nearly one-sixth of the Ohio Division of Wildlife's entire revenue. As with most state wildlife agencies, the money goes into the agency's general fund where it is used for a variety of purposes. However, our money is vital to their missions, and much of it goes directly to deer management, recruitment programs, and enforcement efforts. Wisconsin has four dedicated deer biologists on staff. The Mississippi Department of Fish, Wildlife and Parks also has four biologists whose primary duties focus on deer management. We spend the rest of our money on things like leases and land purchases, which totaled $7.1 billion for all hunting in 2010. A single 9,389-acre south-central Kansas ranch sold for about $9.4 million this year. The new owners, says Whitetail Properties broker and owner Dan Perez, bought the land mainly for deer hunting. "They plan to use the proceeds from the wheat and cattle to pay the mortgage, but their primary reason for buying it had to do with the region's world-class big buck reputation," he says. "They are deer hunters." Although most hunters can't afford a $9.4 million deer hunting playground, Perez, who founded Whitetail Properties 11 years ago, says the recreational land business is booming and is driven largely by deer hunters. He started his company in response to the growing interest in trophy deer management and hunters seeking their own place to do it. Despite the protracted economic downturn, Perez says plenty of hunters are still snapping up prime deer ground in places like Illinois, Iowa, Kansas, and Missouri. "We are still seeing a land shortage. The demand for high-quality hunting ground will likely force prices even higher than they already are," says Perez. "Our clients are across the board. Many of them are business owners, but we also sell property to a group of guys who form a partnership so they can afford their own place. There is some investment potential, but at the end of the day, it's really just a toy." High-quality land in a trophy deer region isn't just a toy, it's the most expensive toy in the store. What once sold for a few hundred dollars an acre 20 years ago is now going for as much as $4,500 per acre thanks largely to the growing desire to shoot bigger bucks. The price of a deer lease has also gone through the roof. At one time, recalls Perez, landowners in Pike County, Illinois, were stumped that anyone would even want to actually sit in a tree stand for the opportunity to shoot a deer. They usually granted permission without a second thought. Now they lease their farms for upwards of $80 per acre. Thanks to those of us who willingly pay for those high-dollar leases and buy land and countless other deer-specific products, men and women like Perez and Pearcy have turned their passions into careers. America's deer hunting culture has helped turn countless blue-collar workers into multimillionaires and pseudo-celebrities. What deer hunter hasn't at least heard the names Lee and Tiffany Lakosky or Bill Jordan or Larry Weishuhn? Perez's 30-year career has revolved around whitetail deer in one form or another. He first worked as a writer for a variety of deer hunting magazines before joining PSE as a regional sales manager. He then founded Whitetail Properties, which has grown to include 129 agents in 21 states. Perez also hosts and produces a television show on the Sportsman Channel, part of another industry driven largely by the deer hunting culture. Thankfully, our passion for whitetails doesn't revolve entirely around money. Success can be found on a nine-acre lot just as easily as it can on a 9,000-acre ranch. In other words, anyone with a battered rifle, a few shells, and a deer tag in his wallet can take part in one of America's richest traditions.